We’re constantly hearing airports say, ‘My terminal was designed for 10 million passengers, now I’m at 15 million, we’re growing 10% each year and we’re struggling to cope!’ The same challenge of operating beyond capacity affects tiny and massive airports alike. There is often a planned grand solution to this challenge, like building a new terminal, but this new capacity is inevitably years away and expensive. So how can airports cope with crowding now? Well the solution has to be to sweat the existing assets – make every square foot, every check-in desk and every security lane count. In reality that means optimisation – of workforce size, staffing rosters, desk and kiosk allocations, transaction times, security lane throughputs, queue layouts, passenger flow and signage, baggage flows, real estate allocations, gate allocations, inter-terminal transport solutions, and lots more! And it means optimisation for an hour from now, a day from now or a year from now, especially when operating at capacity during peak times. Often people turn first to technology in a search for solutions. Automatic gates are purchased for immigration halls and faster lanes for security screening. They promise enhanced performance – better throughputs with lower staffing requirements. All great – except that technology procurement alone is never the answer. There is absolutely no point investing in a super high throughput automated security lane and then only achieving half the planned throughput uplift, and yet this is usually what happens because the multiple interacting steps in the process are not well understood or coordinated. The reality is that optimisation takes hard work over time and requires alignment between people, processes and technology. And it can’t be achieved without accurate, detailed, relevant, actionable data on each step of the process. Data, for example, on why the new security lane is not delivering higher throughputs – on the process of directing passengers from queues to divestment stations, tray availability, passenger separation of liquids and laptops and the divestment process overall, flow management through metal detectors and body scanners, secondary passenger screening, bag collection, re-composition, secondary bag search, flows out of the checkpoint. The efficiency of the whole end-to-end operation can be destroyed if there are inefficiencies or chokepoints at any stage. And removing those chokepoints to keep things moving requires constant measurement and optimisation of how both bags and passengers are moving through the process, where congestion is causing waiting, why the congestion is occurring and what layouts, processes or resources need to be adjusted to align and optimise flows. Especially in privately-run, efficiency-driven operations there is evidence of exceptional gains from taking a data-driven approach to maximising throughput from constrained spaces, resources and budgets. 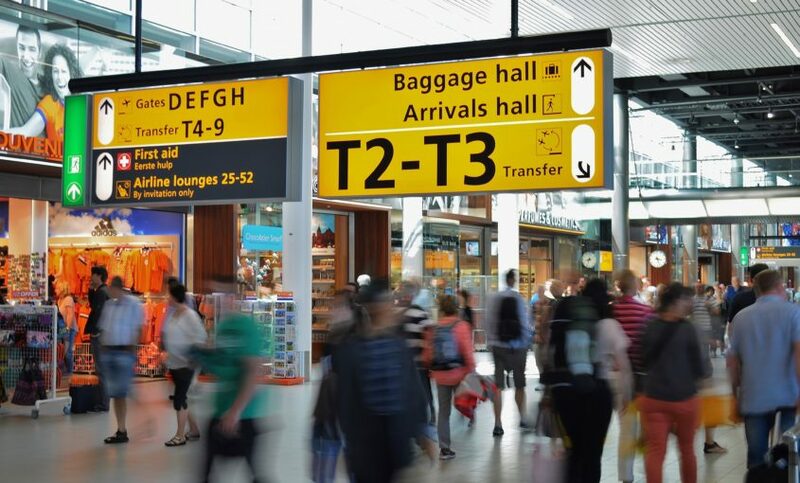 We have seen an airport leverage CrowdVision data to change check-in desk, kiosk and real estate allocation – freeing up capacity for another airline to start operating from an already busy terminal. We have enabled data-driven optimisation in automated security lanes to deliver not only materially enhanced throughputs but also reduced passenger time in the screening process. And CrowdVision data has been used to optimise layouts in integrated departure lounges to deliver increased retail performance and better passenger experience. So, don’t despair – your new terminal building may only be an architect’s vision, but you can still get way more from what you have today if you embrace the science of data-enabled optimisation. Contact us if you want to learn more about how to work with CrowdVision to create capacity where you didn’t think you had any!